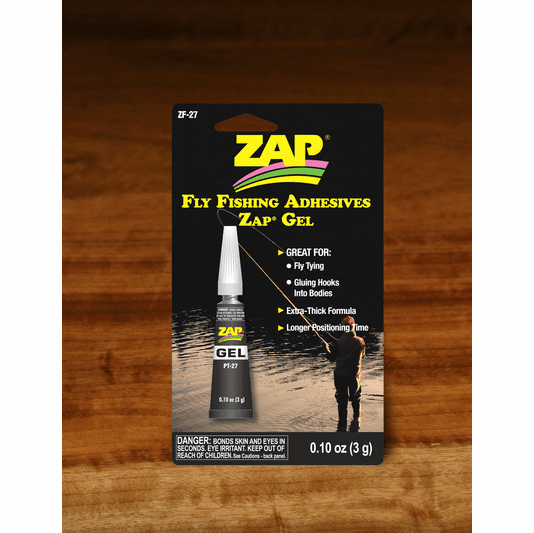 Description Zap Fly Fishing Gel Think about the tried and true Standard Zap-A Gap and then think gel consistency. Easier to use than standard Zap when applying eyes on flies. This material dries slower than the standard Zap-A-Gap, so you have more time to make sure the position is just where you want it. Blister pack. 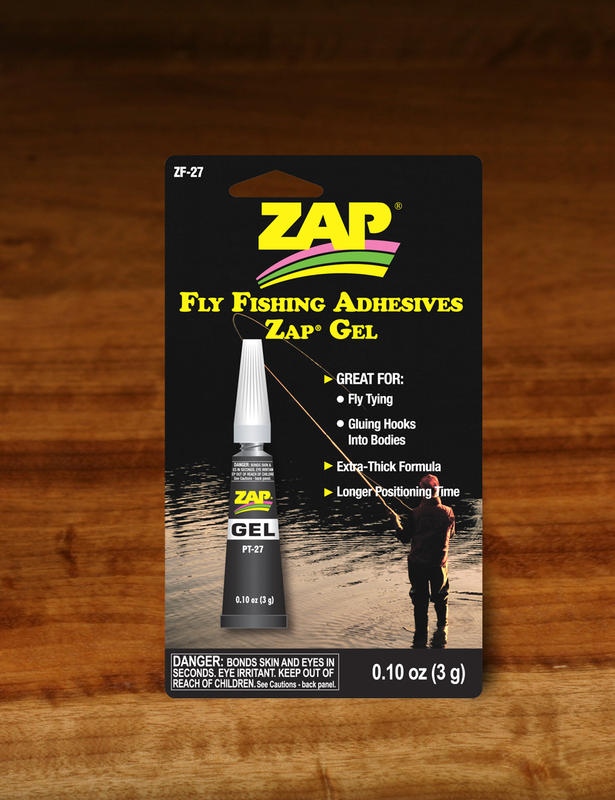 Zap glues include thin, moderate, thick, and extra gooey consistencies. The standard Zap is what we would refer to as moderate thickness. Zap glues dry at various speeds with the standard and thin varieties bonding very quickly and the gel and goo varieties drying more slowly. The Zap accelerator will reduce bond-time.